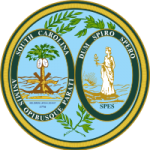 The South Carolina Department of Social Services, Child Support Services Division (DSS) may be able to help you with your child support issues. If you are a custodial parent seeking to obtain child support, DSS may be able to assist you with establishing paternity and issuing a child support order. If you have an existing child support order and the other parent is not paying, DSS may be able to help you have it enforced, even if the child support order was issued in another state. If you are a non-custodial parent, DSS may be able to help you modify an existing order.